The book details Horowitz’s early career as an early product manager at Netscape then progresses to his time as CEO of Loudcloud/Opsware. The advice in the second half of the book builds upon the stories told of his time at Loudcloud/Opsware and is told in an easy to read, conversational manner. I can honestly say that I did not know about Horowitz’s time as a CEO; hearing about his struggles leading a company drew me in deeper and I could not put the book down. The hard thing about hard things are actual examples that Horowitz encountered. CEO’s should tell it like it is – this is good advice for managers at any level, employees know when you are trying to dodge a hard topic and will eventually find out. The right way to lay people off – with respect, honestly, and as soon as you know you have to. Lead bullets – there are no silver bullets, hard work pays off. Why startups should train their people – I think this applies to large companies too, it is important to let everyone know policies, procedures, and learn new things. How do you hire somebody good? Hiring Executives if you’ve never done the job – if possible, do the job for a while. If not, put them through their paces and learn as much about the role as possible. 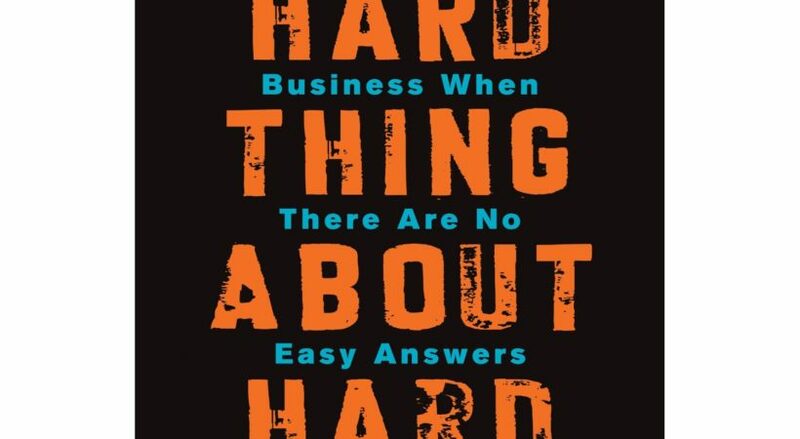 The Hard Thing About Hard Things is another must read on my bookshelf that I will refer to as I move up through my career. I wish I had read this in previous roles in order to dodge political landmines that do arise.